Michael de Frietas, later known as Michael Abdul Malik and Michael X, was a controversial black revolutionary figure born in Port-au-Spain, Trinidad in 1933. He was mixed-race. Iona Brown, his mother, was working-class and a known African spiritualist in their community in Trinidad. His estranged father, Emmanuel de Frietas, was Portuguese and resided in St. Kitts where he accumulated wealth from his chains of shops. At the age of fourteen, de Frietas left St. Mary’s College, an elite school, and despite his middle-class upbringing, spent most of his teens and early twenties working odd jobs in Trinidad and travelling the world as a seaman. In 1957, de Frietas moved to England, settling in the Notting Hill section of London where he was a hustler and gangster. In Britain, he also met and married Desiree De Souza and the couple had three children. By the mid-1960s, Frietas ‘self-converted’ to Islam and adopted the name Michael Abdul Malik. 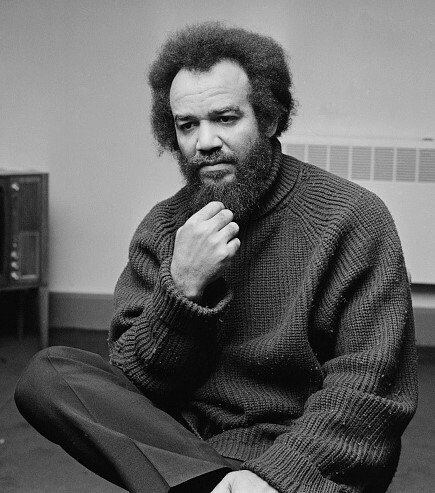 In 1965, he founded the Racial Adjustment Action Society (RAAS), a black militant organisation in London which eventually had a membership of 45,000. Malik’s newfound political and media fame thrust him onto Britain’s political main stage. This fame, however, was short-lived. In July 1967, he gave a speech in Reading, England, was charged for hate speech under the 1965 Race Relations Act and was jailed for a year. Whilst in jail, his ghostwritten autobiography was published but its sales were abysmal. Additionally, after a white benefactor pulled RAAS’s funding, membership sharply declined virtually overnight and the Society disbanded in 1968. Out of jail later in 1968, Malik once again joined various militant black organizations in England and adopted the name, Michael X. This time the English media disavowed him and he began exploiting his revolutionary image to gain money. Then abruptly in 1971 he announced that he had abandoned Black Power ideologies and returned to Trinidad. In 1971, Michael X established a commune in Christina Gardens, Trinidad and created a “Black Liberation Army” there. To prove his new prominence by April 1971, he began inviting celebrities such as John Lennon to the commune. On January 2, 1972, Gale Benson, an upper-class white English woman, who was dating Hakim Jamal, Malcolm X’s cousin, was murdered and buried on the commune. Joe Skerritt, a member of X’s organization, was also murdered for insubordination and buried on the commune. After receiving an eviction notice on February 16, from the Mootoo family, to leave the commune, X plotted to kill them, but his organisation members disagreed on how to carry out the plan. Meanwhile the government of Guyana invited Michael X and his family to settle there and he quickly abandoned the commune. On February 19, the commune, now deserted, mysteriously burned down. Weeks later, the bodies of Benson and Skerritt were discovered. On February 28th, X fled to Brazil hoping to avoid extradition back to Trinidad. He was later captured and returned to the island nation. On May 16, 1975, after a three-year trial, Michael X was convicted of murder and hanged in the Royal Jail in Central Port of Spain. His co-conspirators were given either life sentences or hanged for the Benson and Skerritt murders as well. Michael Abdul Malik, From Michael de Frietas to Michael X. (Plymouth: Andre Deutsch Ltd., 1968); V.S. Naipaul, The Return of Eva Peron. (London: Andre Deutsch, 1980); John L. Williams, Michael X: A Life in Black and White. (London: Century, 2008).